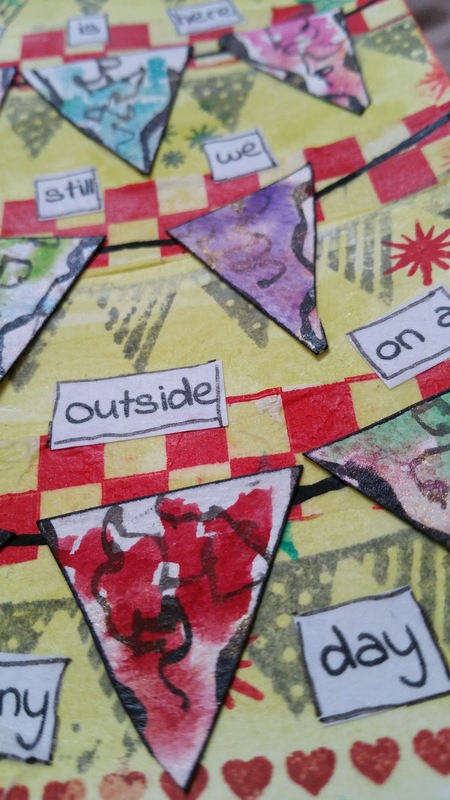 Again posting for The Craft Barn Monthly Challenge based on the poem by Sara Coleridge. 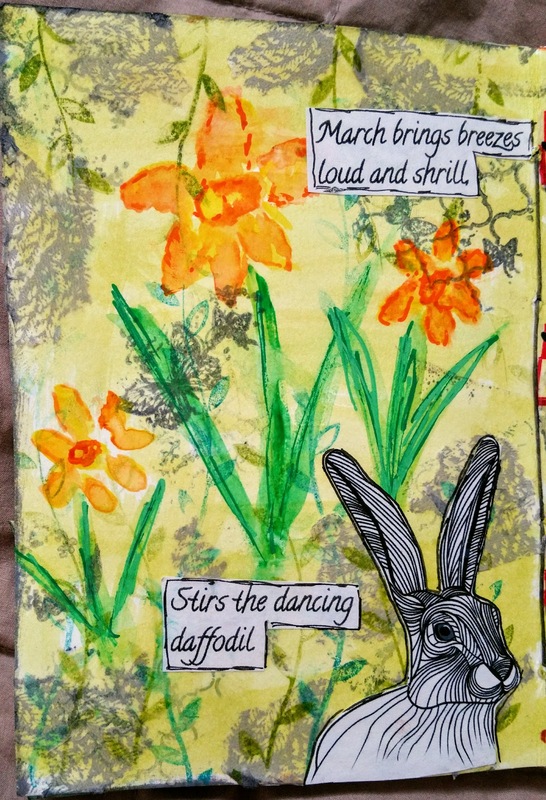 The challenge this time was to include daffodils and hares. 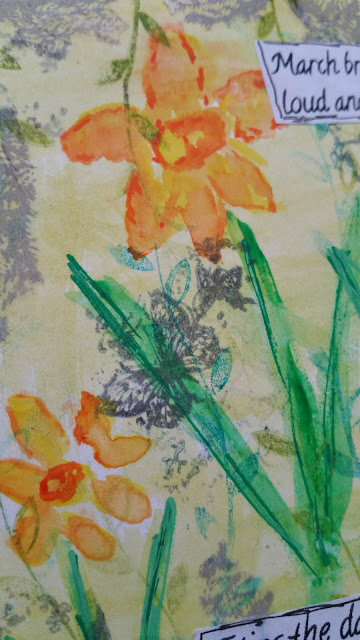 I started by painting my daffodils with watercolour paints, which did lead to a challenge with other layers, making sure they didn´t run. I had just purchased some fixative spray so using this certainly helped. 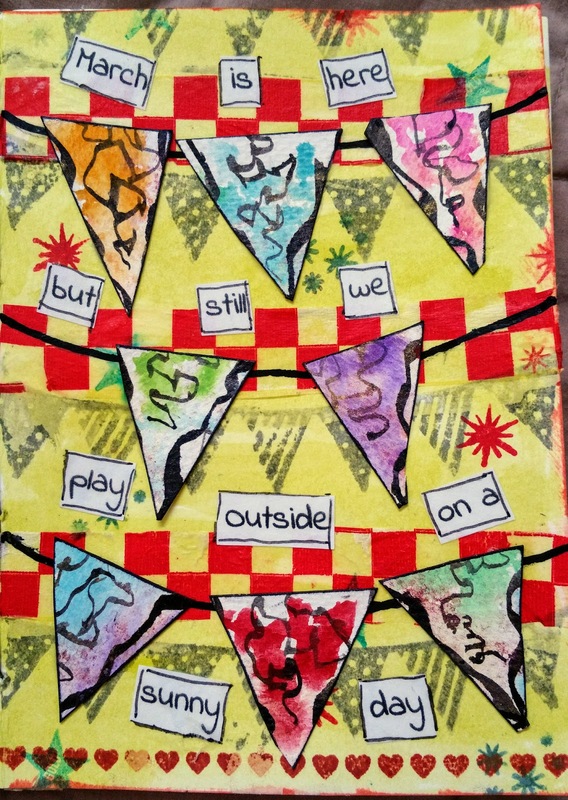 I added layers with torn tissue napkin pieces and butterfly and vine type stamps. 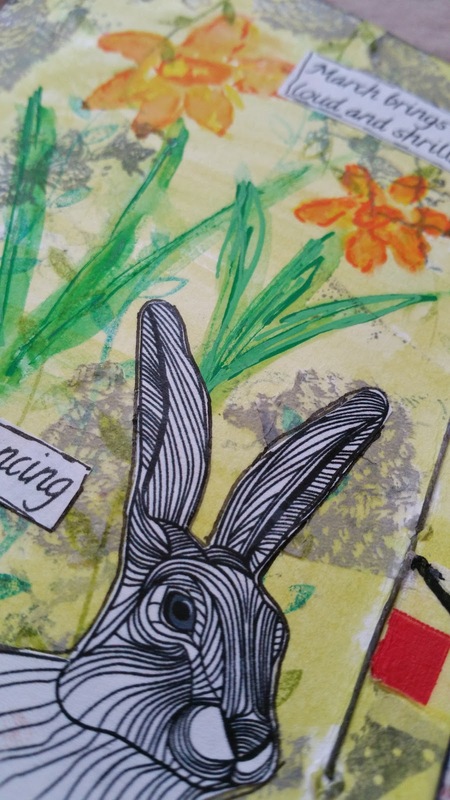 I loved this sketchy hare I found to use as a focal point in the foreground. 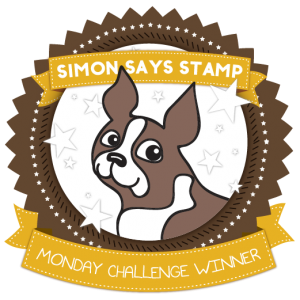 Check below for my Southern Hemisphere version. At the school where I work we held our annual fundraising gala last Friday so this was the celebratory theme I followed. I had a small piece of watercolour paper sitting on my table on which I had be practicing some paint effects. In itself it was nothing special and was probably destined for the bin. However it was ideal to cut up into triangles to make colourful bunting. Really happy with how these two pages look together this month. That is a great hare! The monochrome hare on the lovely colourful pages looks really good. 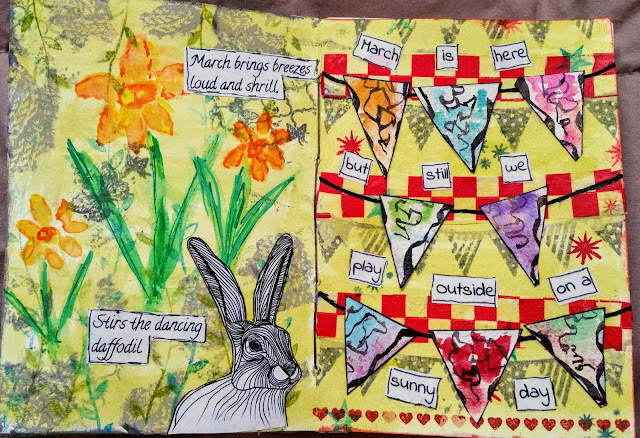 Lovely Spring pages. Fabulous hare and great hand-drawn daffodils. Love the contrast of the hare against the colourful spring scene.